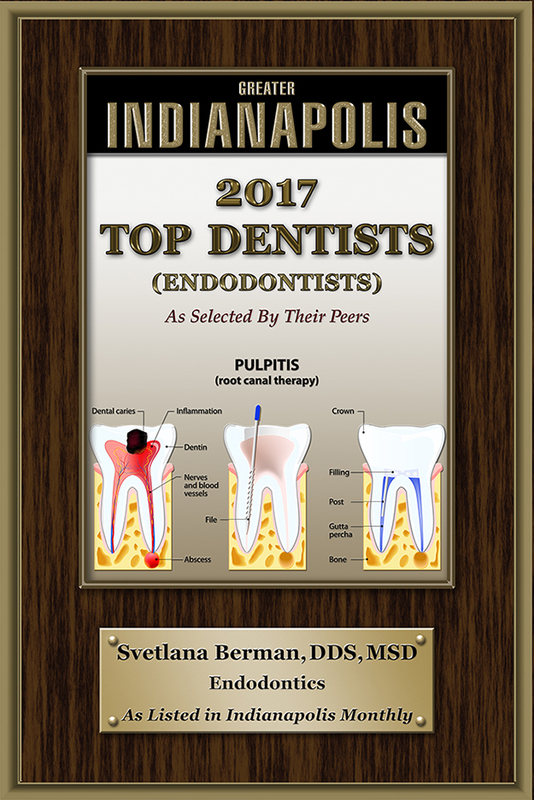 Dr. Berman is a specialist in endodontic treatments in Carmel, IN, providing high quality care for all endodontic needs. We pride ourselves on our attention to our patients, our relaxing environment, our advanced technologies, and our ability to help you save your teeth and get out of pain! 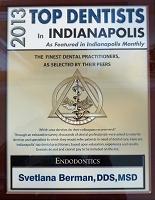 Dr. Svetlana Berman, DDS, MSD has been chosen by her peers for the past 8 years in a row (2009-2017) to be recognized as Top Central Indiana Endodontist, as featured in Indianapolis Monthly magazine. 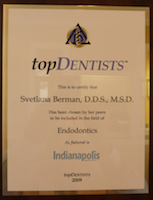 Dr. Berman is also an active member of the dental community in Indianapolis and a part time clinical instructor at the Indiana University School of Dentistry Department of Endodontics. Dr. Berman is dedicated to providing high-quality, stress-free, and affordable care, being in-network for most insurances. 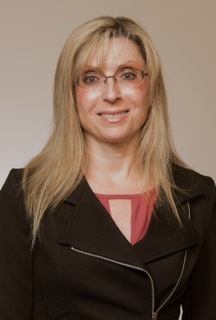 Her practice is proud of its friendly team and modern technology, such as surgical microscopes, 3D imaging with cone beam CT, digital radiography, chair-side TV's, and special equipment for the best contemporary treatment techniques. Please browse our website for more information on our clinic, our procedures and our contact information. 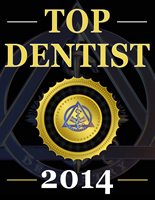 New patients and referrals are welcome!